Have you entered an old age and started to experience prostate dysfunction such as frequent urination, difficulty in urination and urine drips and trickles, and limitations in sexual performance? If so you may be in need of a nutritional supplement to boost your prostate gland and improve your sexual performance. As old age gets better hold, men may experience urinary problems because of the enlargements of prostate gland. While it is common for old men to experience prostate problems, they may also have fear for surgery or side effects from prescription drugs when it comes to the treatment of prostate gland. In order to solve these conditions in men, FoodScience of Vermont has brought out a revolutionary product called. Prosta-sentials is very beneficial in the problems such as frequent urination or difficulty in urination. Saw Palmetto, a type of palm which has been used by Native Americans since ages to cure problems in urinary bladder, urinary tract, and prostate gland. Prosta-sentials is basically a nutritional supplement. Therefore, if you want to reap all the benefits of Prosta-sentials, you have to take the supplement as advised by your healthcare provider or as written on the product label. It is recommended that you take two capsules with your morning meal and two capsules with your evening meal. Prosta-sentials does not contain any GMO ingredients and all the ingredients used in this dietary supplement are natural and organic substances. Therefore, you can be assured that this product does not harm you. Actually, until now no cases of possible side effects has been reported. 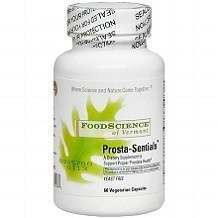 FoodScience of Vermont Prosta-sentials is a safe for men who want to boost their prostate health. The ingredients used in Prosta-sentials strengthen the urinary bladder and relax the urinary tract, thus, when you begin to use this product there will be improvement in urine flow, no pain while urinating, no frequent urination and no more drips and trickles. The actual price of Prosta-sentials is $56.40. Nevertheless, you can get this dietary supplement for as low as $29.29. The fluctuation of the price depends on where you get this product. Apart from the low price offered by online suppliers, there are no other guarantees. The product does not come with return or money back guarantee. 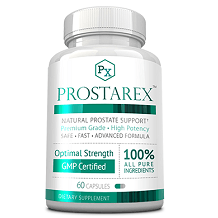 Prosta-sentials from FoodScience of Vermont is a good product aimed at men who want to improve prostate health.On the other hand, it seriously lacks in supplying a guarantee which is an important aspect for any product to have.